Never pay retail for your prescriptions again!! your prescriptions at local pharmacies. Walmart has marked all prescription discount cards as ineligible. Your PS Card still works. 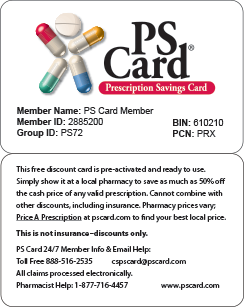 To reactivate your PS Card discounts, show your PS Card to the Walmart or Sam’s Club pharmacist. all the savings on to you. Ask questions and Learn more. Todd in FL and hear from other PS Card members. 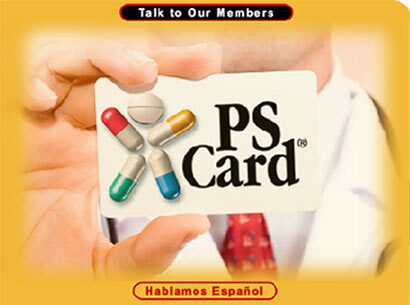 Help your patients get and stay on their prescriptions. Free PS Cards in bulk. DO YOU SPEND OVER $100 A MONTH ON YOUR MEDS? Uninsured? And low-income? See if you qualify for prescription assistance. What does PS Card mean for you?